Perry Firth is a graduate student and a project assistant for the Seattle University Project on Family Homelessness. 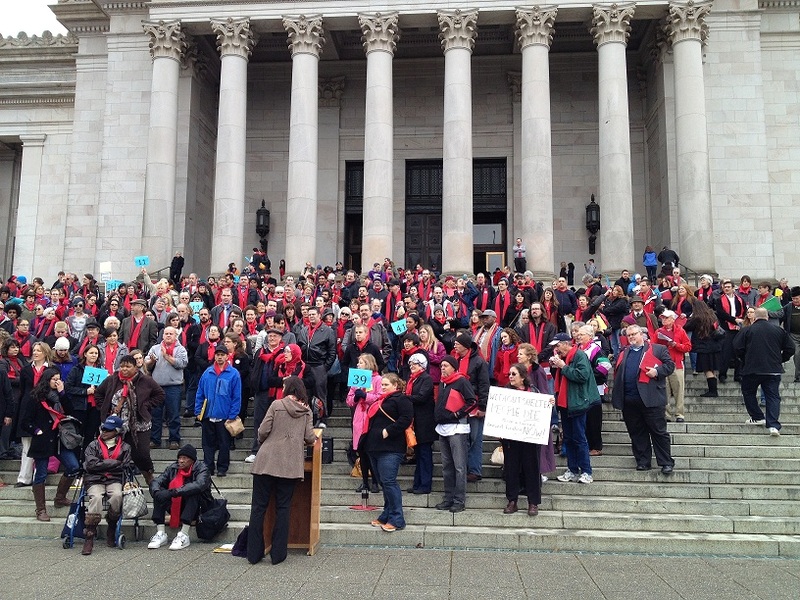 She attended the Housing & Homelessness Advocacy Day in Olympia for the first time this year. Two more Seattle U grad students and project assistants attended for the first time too. In this post, Perry shares their reflections as first time participants. In Perry's words, "I would say that sometimes you may feel that advocacy doesn’t work. It can be hard to connect your own actions and awareness-raising to meaningful policy change. But it is only through advocacy and collaboration that systemic change ever occurs." Learn more about the advocacy that happened on February 11th! Housing advocates convene on the steps of the state capitol to rally for affordable homes for all. On January 11th, over 650 housing advocates came together in Olympia, our Washington state capitol, and spoke up for affordable housing. 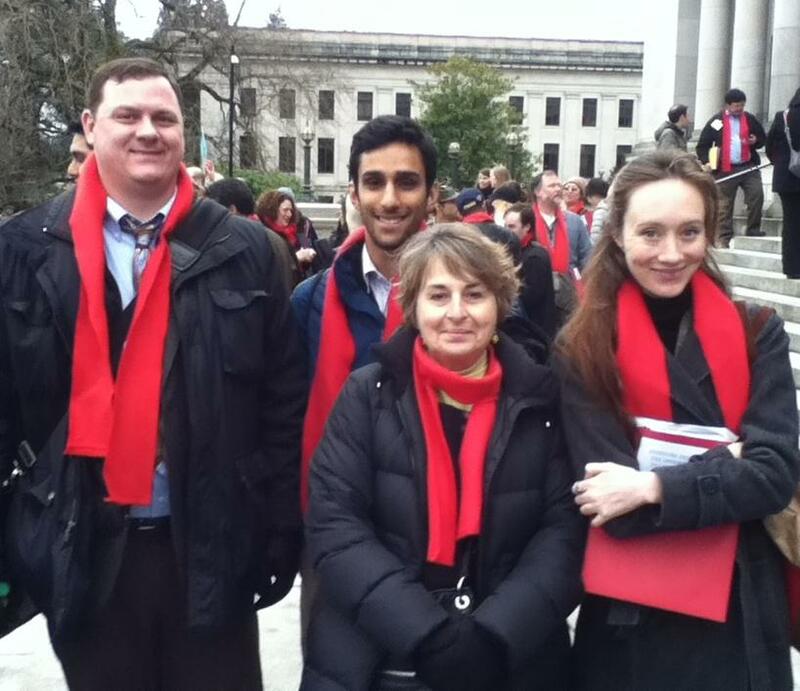 Hosted by the Washington Low Income Housing Alliance, it was the largest Advocacy Day yet. We represented 43 out of our 49 state voting districts! Why did so many people make the trek to Olympia? Hear from participants directly in the following post and learn how Firesteel and the YWCA contributed. A sign posted on the wall at the One Night Count Headquarters at the Compass Housing Alliance. The homeless counts at the end of January revealed how many people are without shelter in Washington state. Count volunteers come away motivated to advocate for affordable housing and there are lots of advocacy events in the near future! In this "Everyone Counts" blog post, Erin from the YWCA heard from volunteers both at the downtown One Night Count headquarters and also in Renton. Following volunteer quotes and video, you'll also find a list of great advocacy resources and events so we can create change together. Watch this #YWHangout to learn how to use tools like Twitter and Facebook for housing advocacy. You’ll master the basics of engaging your contacts in housing and homelessness issues that matter to you. You’ll also find out how to directly connect with decision makers. Your online voice will help give everyone the opportunity to live in a safe, healthy, affordable home. 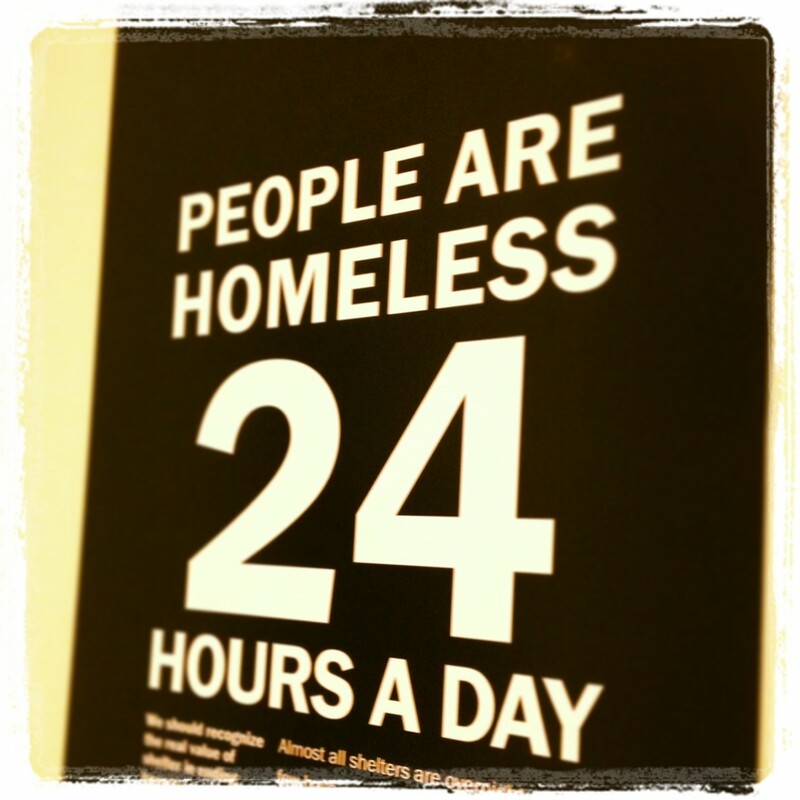 Everyone counts, even community members that are experiencing homelessness. In this series, we explore the importance of the homeless counts that take place in every county and hear from many of the volunteers that help count. Not all counts are the same. Some occur in the darkest, earliest hours of the morning, and others take place in daylight. Catherine from the Seattle University Project on Family Homelessness takes us through some of these differences and shares her experience at the Point in Time Count in Snohomish County.